So, I feel like I’ve been getting away somewhat from what I originally wanted to do with this blog, which is to post recipes with more in-depth instruction for folks (like myself) who are continuing to work on the basics of cooking while also branching out and trying new, occasionally more detailed recipes. Having been employed at a gourmet kitchen store for over a month now, I have sat in on a few cooking classes and learned quite a bit from the chefs there. 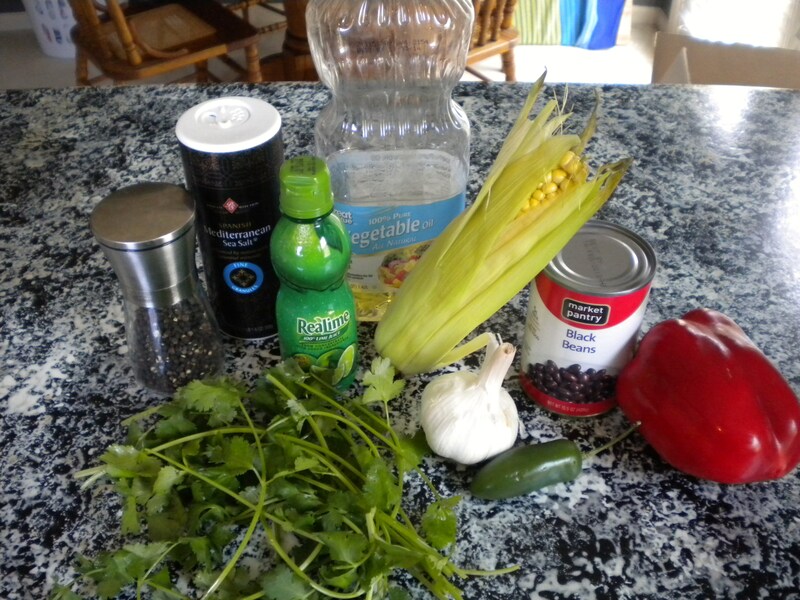 Today I would like to expand on a fairly basic recipe and share some of those tips as we go. I have also been learning a lot from this amazing book that I highly recommend to any aspiring chef (even just a home chef! ): The American’s Test Kitchen Cooking School Cookbook. 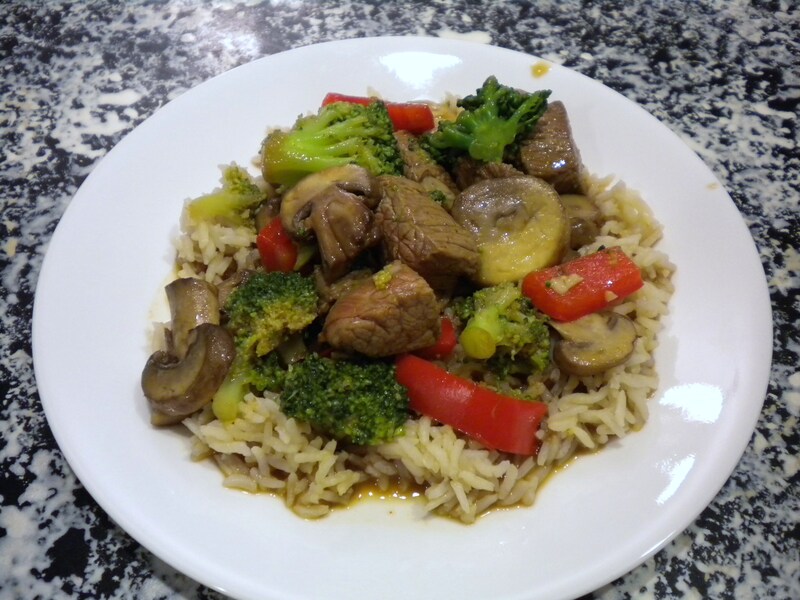 I used the section on stir-frying, along with some of this recipe, to inspire the following Beef and Broccoli stir fry recipe. 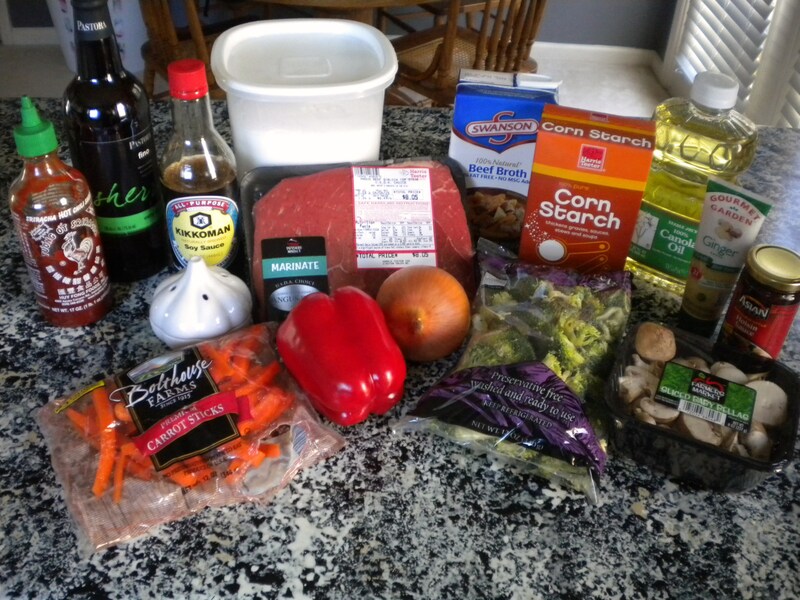 My first instinct is to say that stir fry is an easy meal, and it can be. 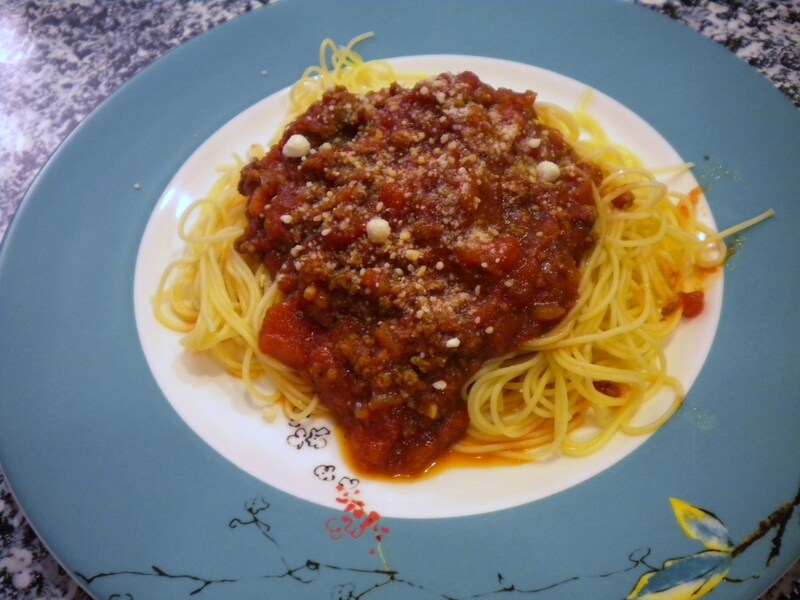 But for some reason I often mess it up- overcooking the meat or vegetables, not having enough sauce, sauce is lacking in flavor, etc. 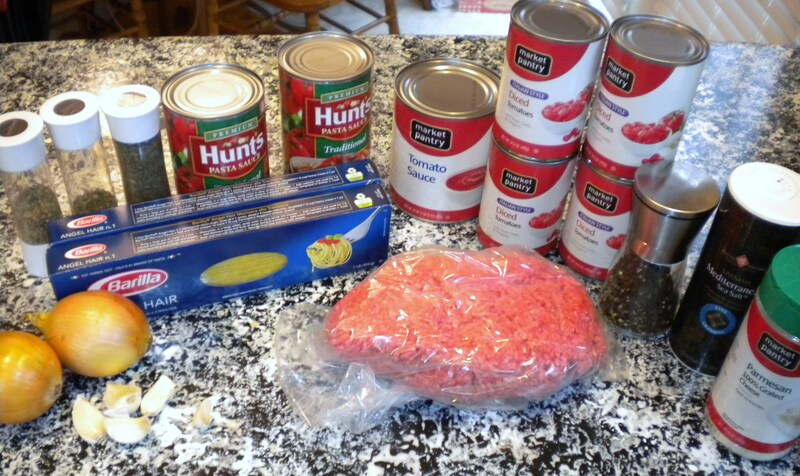 This time I took a tip from one of my favorite local chefs, Dianne McConnell (you can find her blog here). She is awesome. And Dianne recommends sauteing in batches. I have heard her say many times that you do not want to crowd the meat in a pan, or it will not cook properly (advice echoed in the America’s Test Kitchen book). She has also given this instruction with mushrooms. I also learned from Dianne about blanching vegetables in order to reduce cook time in the skillet and avoid over-cooking. I will explain this further in the recipe instructions. I didn’t end up using the carrots or onions, but if you do, blanch the carrots with the broccoli and add the onions right before the garlic and ginger. 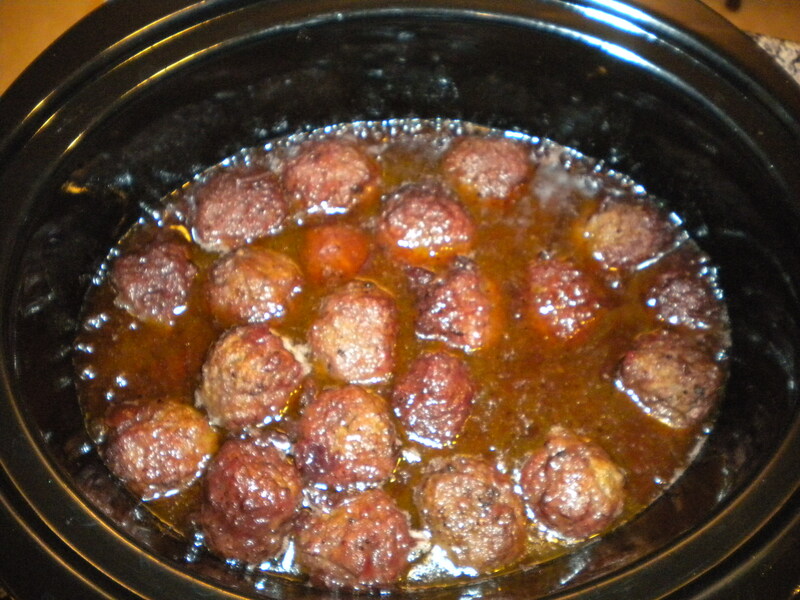 Combine 1 tbsp sherry, 1 tbsp soy sauce, 1 tbsp hoisin, sugar and beef. 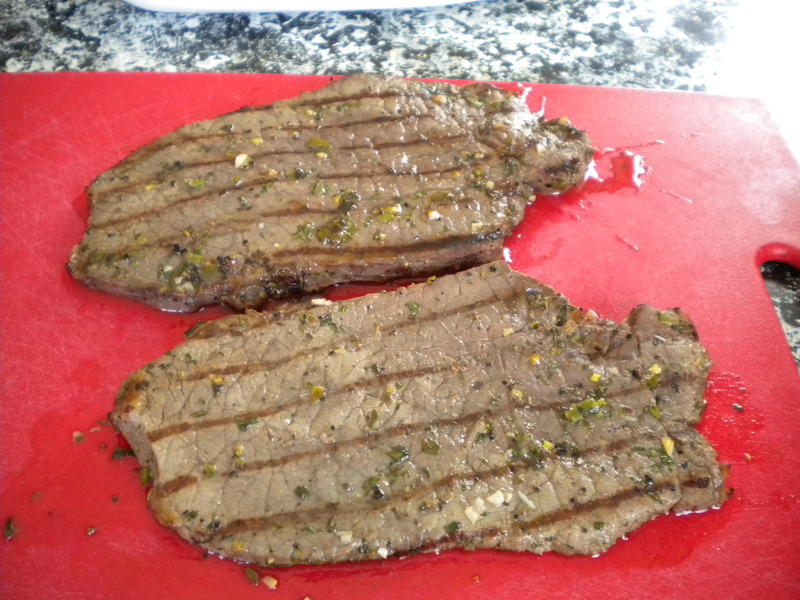 Marinate for at least 10 minutes but no more than 1 hour (I did 30 min). 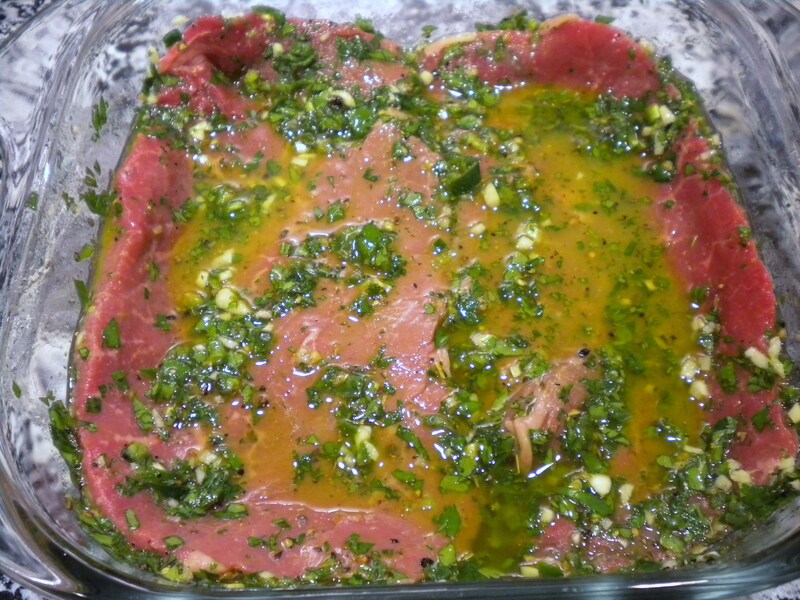 Bring to room temperature and drain off any moisture from the marinade. Pat dry. 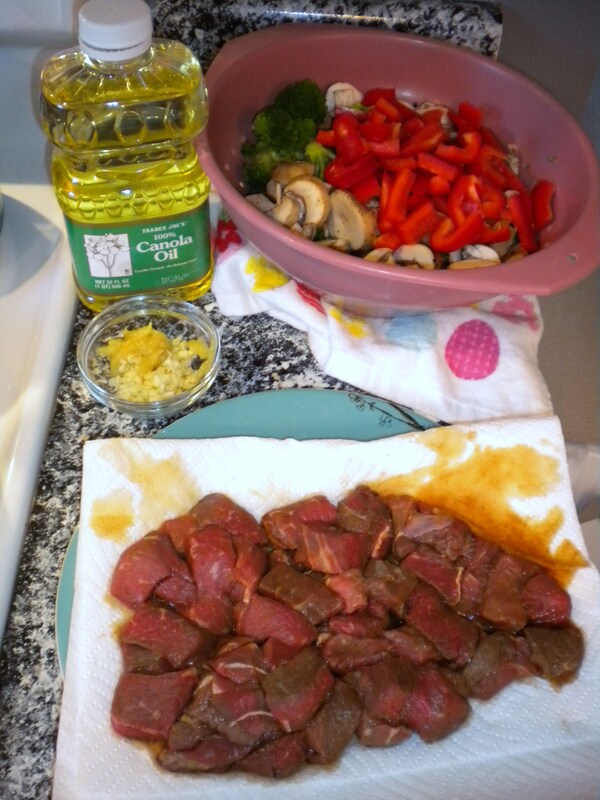 While meat is marinating, bring a large pot of water to a boil and add broccoli florets. 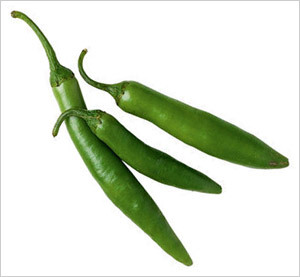 Boil for about 2 minutes then strain and run cold water over them to stop cooking. This is called blanching. 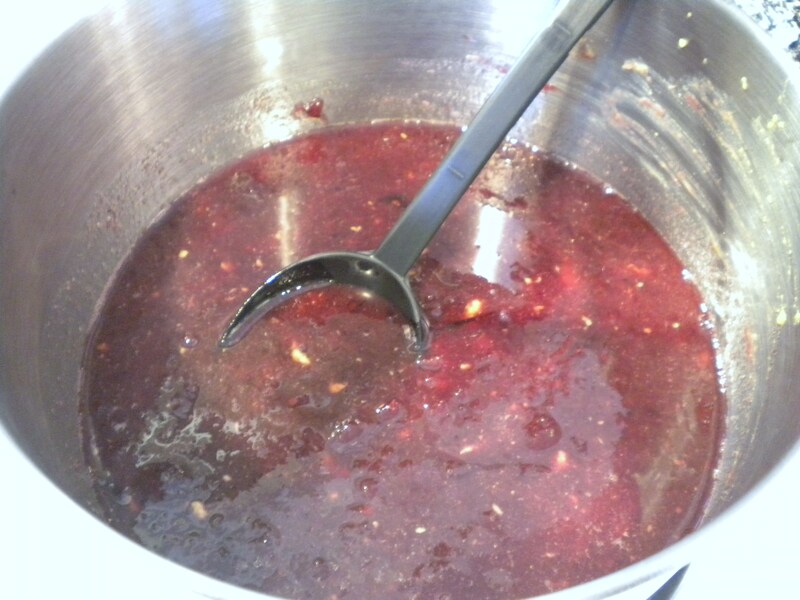 Whisk together broth, 2 tbsp sherry, 2 tbsp soy sauce, 2 tbsp hoisin and sriracha. I obviously did not have the burners on under the plate and bowl to the left, just for the record! Broccoli is blanched, mushrooms rinsed and dried and peppers chopped. 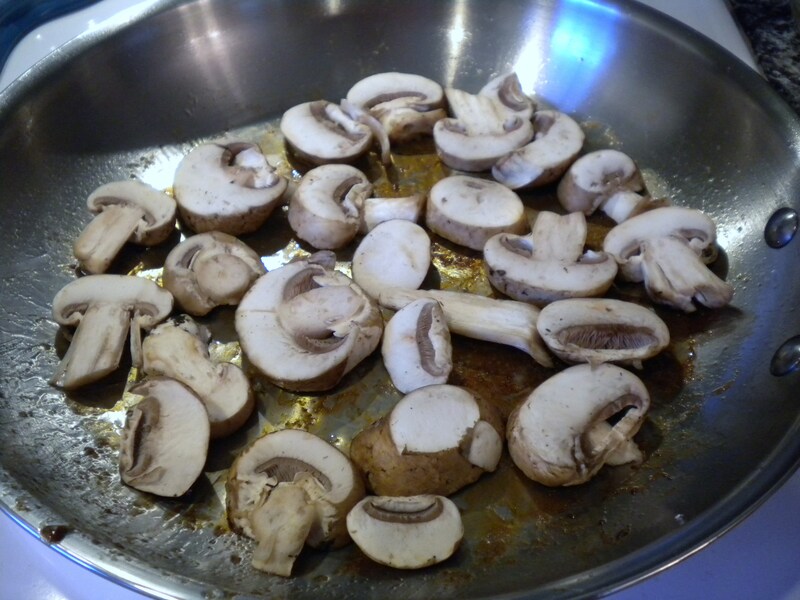 Cover the bottom of your pan with canola oil and heat over medium high heat. 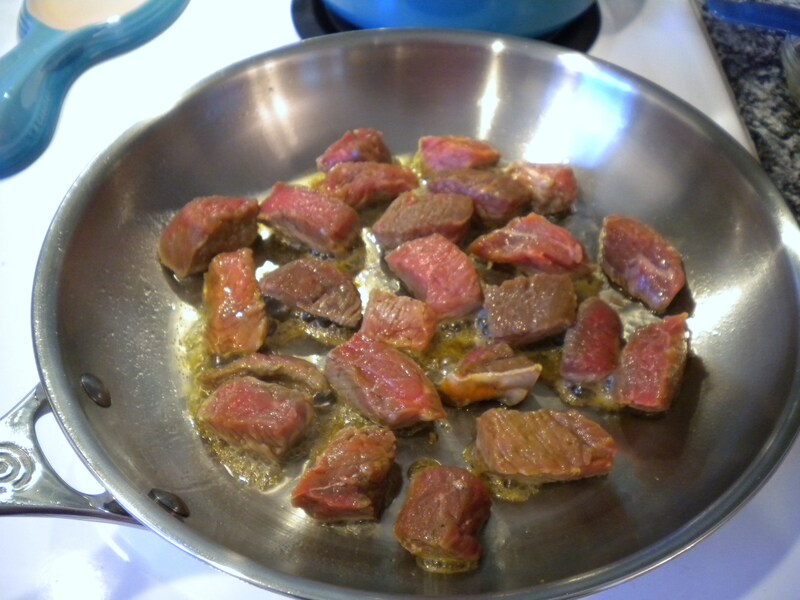 When oil is hot (but before it begins to smoke) add meat and cook for 3 minutes, turning once. Do not crowd your pan! 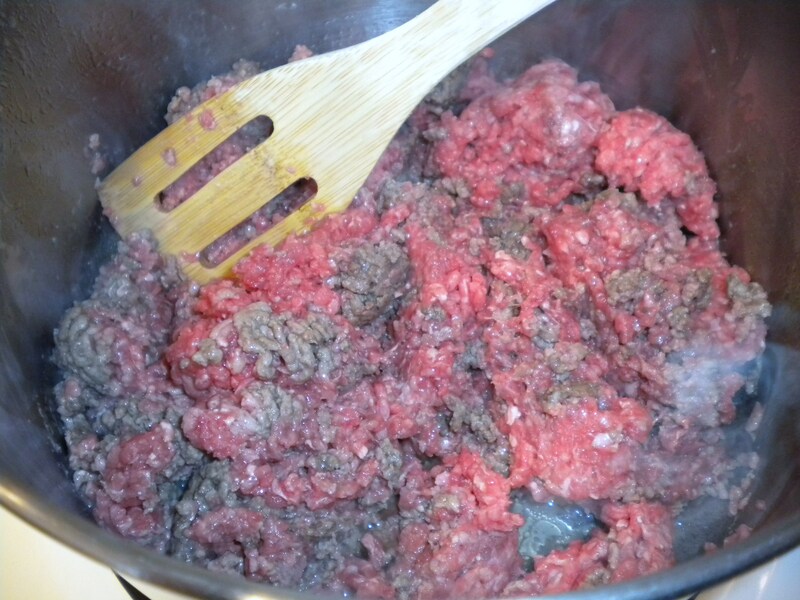 Do not move meat around as it cooks, which will prevent it from browning well. Cook in batches if you need to and remove from pan. 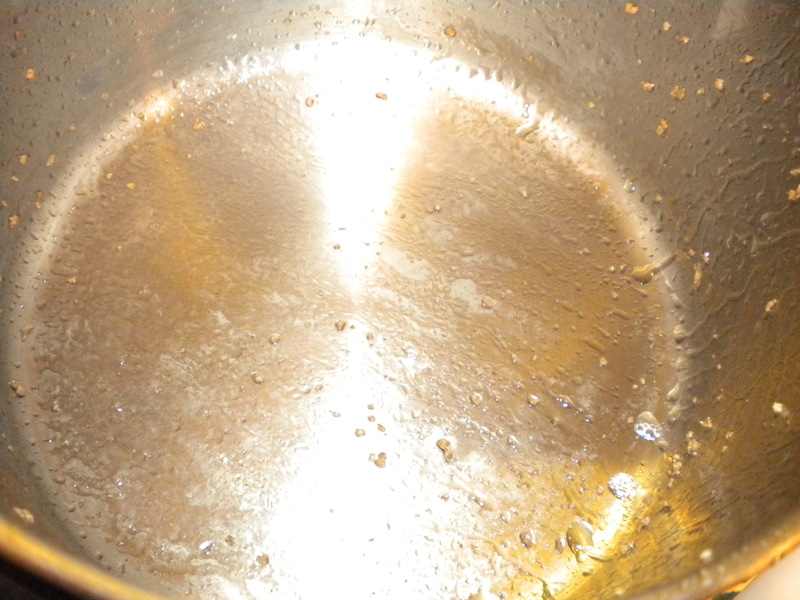 Reduce heat a bit and add more oil to the pan. 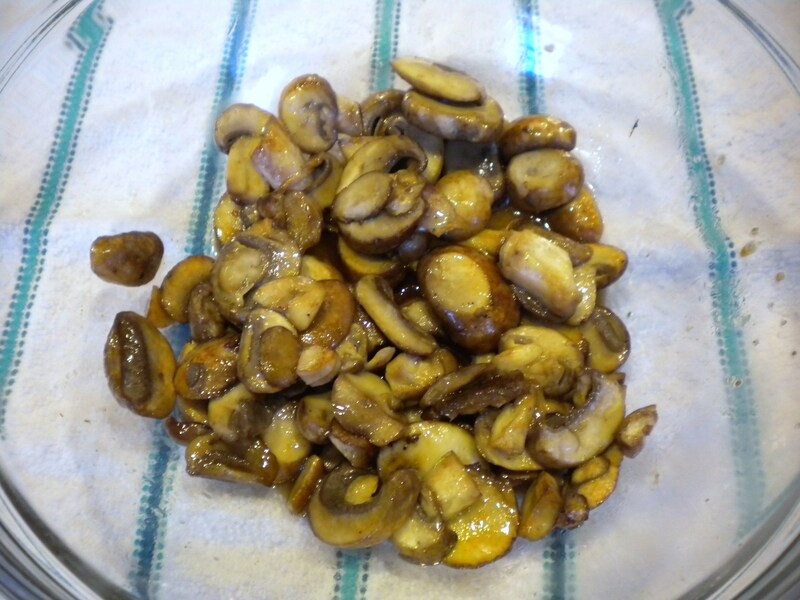 Add mushrooms and cook for 3 minutes, turning once. Remove from pan. Don’t crowd the shrooms, man! Add peppers to pan and cook about 5 minutes, stirring occasionally. Remove from pan. Add broccoli and cook about 4 minutes, stirring occasionally. 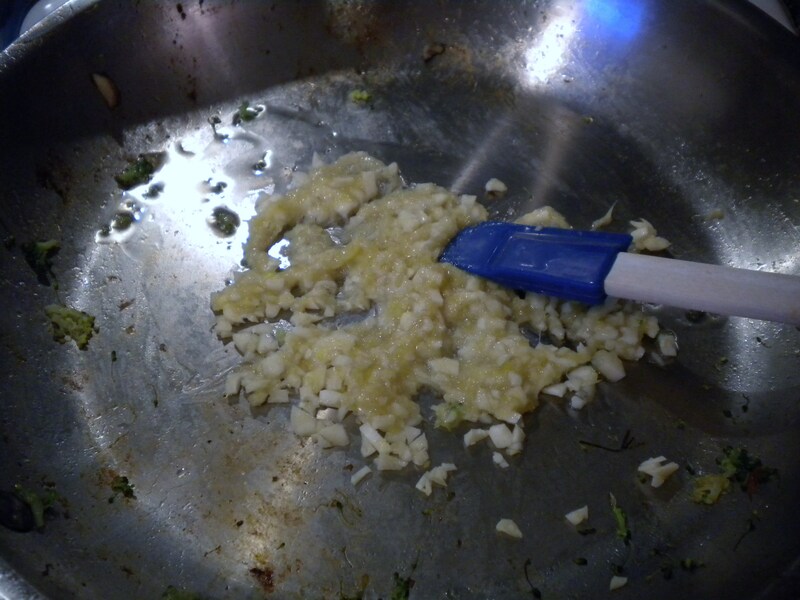 Remove from pan (continue to add additional oil, as needed). 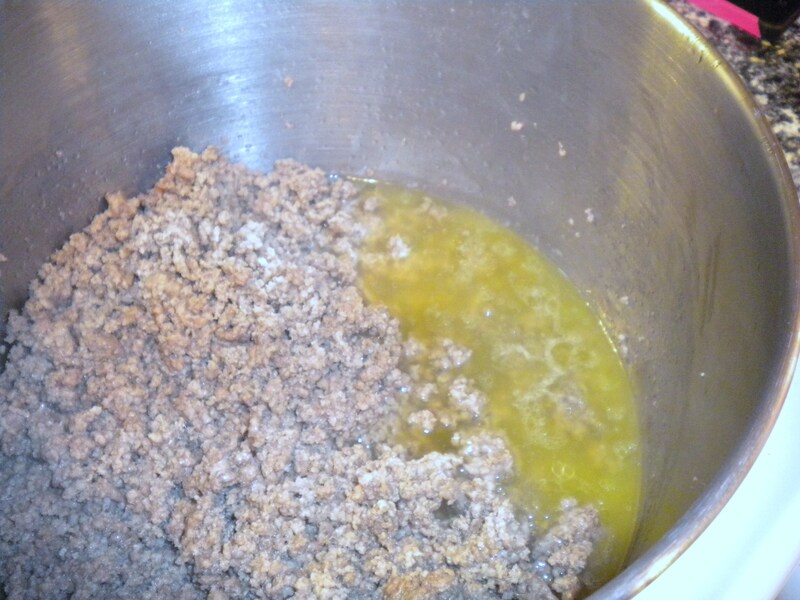 Add garlic and ginger and cook until fragrant (about a minute), mashing into pan. 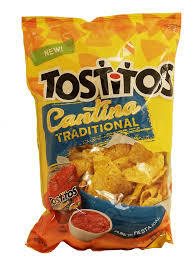 America’s Test Kitchen calls these the “aromatics.” I love that. 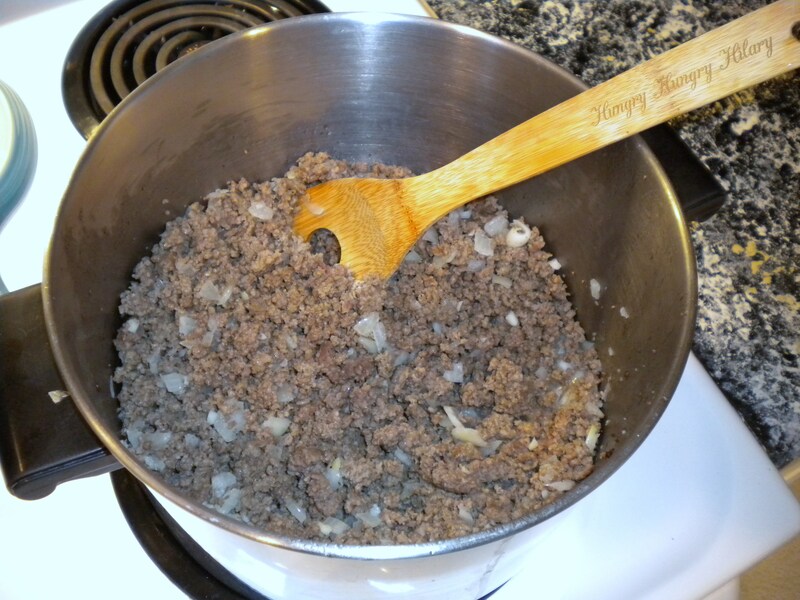 Re-whisk sauce to mix up cornstarch and add to pan with vegetables and meat. 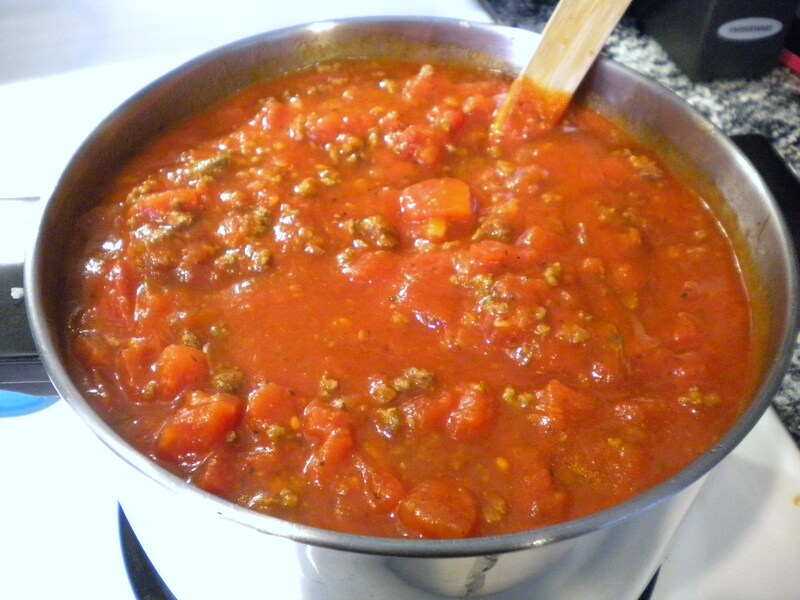 Heat through until everything is sizzling and sauce is slightly thickened, about a minute. 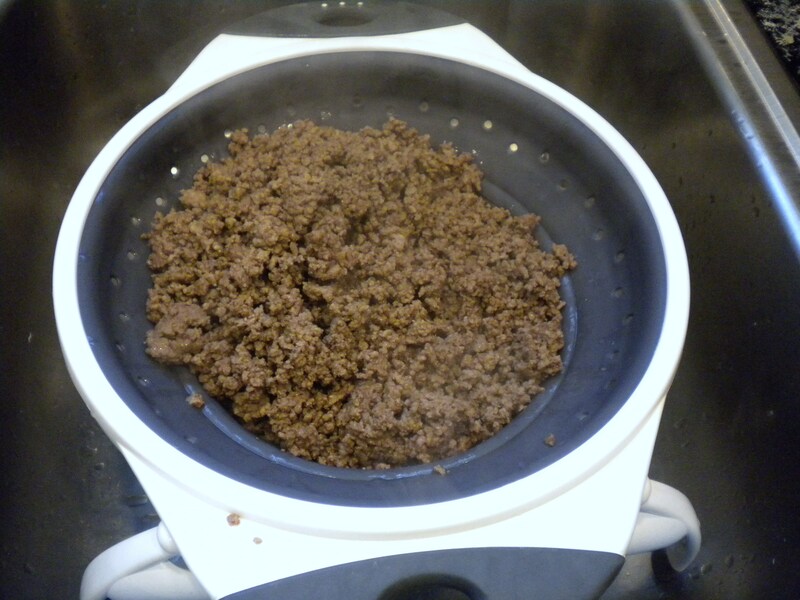 Serve over rice or noodles (this time I steamed our rice with 1/2 water and 1/2 beef broth). As noted in the caption, I omitted the carrots and onion due to feeling like there was already too much going on. Plus chopping onion makes me wish I wasn’t. 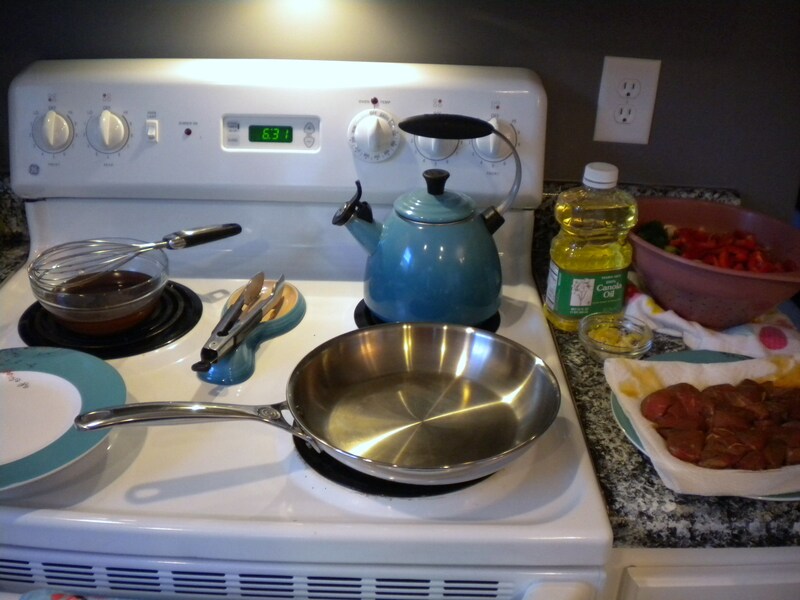 On a side note, I recently became the proud owner of a Le Creuset fry pan, which is my only gourmet-scale piece of cookware and my first experience using stainless steel as opposed to nonstick. It is a beautiful piece of metal and I absolutely had to use it to make this recipe, even though ideally, I would have used a larger vessel. I also learned that, with cookware with an aluminum core, such as the Le Creuset, you are not supposed to cook on high heat at all. 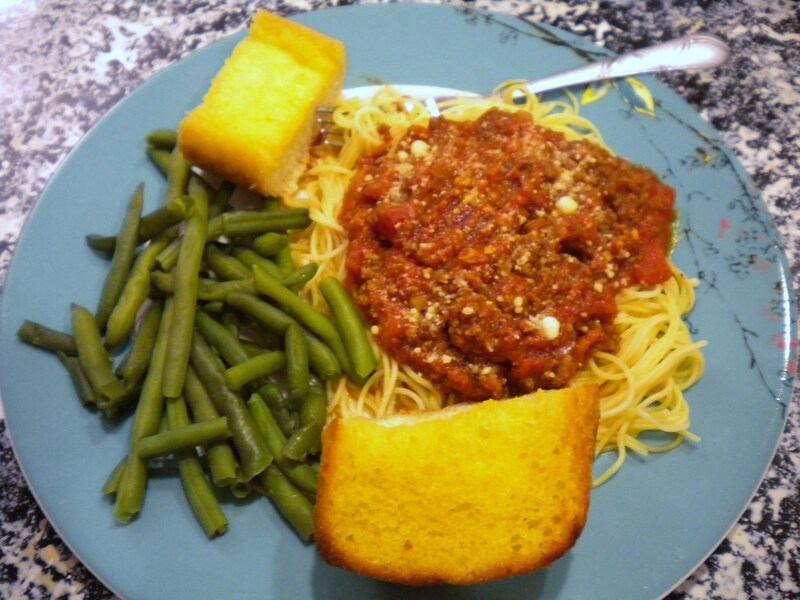 I reduced the temperatures a bit for this recipe, but wrote it out for you as though you are using what I normally do (something cheap and nonstick). If you are using something with an aluminum core, you can reduce the cook temperatures as needed so as not to scorch your food. Cooking with stainless steel is definitely a learning curve and I have already burned a grilled cheese sandwich and some fried eggs (since yesterday). If anyone has tips to offer on how not to continue burning things, I would love to hear them! Shockingly, I did not burn the stir fry. It was a stir fry miracle! Anyway, I have a sweet panini pan which I should really be using for any and all grilled cheese endeavors. So that was just my own irresponsibility. If you look at the calendar, it will tell you it’s still spring. But outside, it’s undisputedly summer. At least, for a girl who grew up in a place where temps didn’t break 80 until almost July and getting in the community pool for swim lessons early in the morning was cold no matter how late into summer, it’s pretty much summer. The sweet scent of blooming flora saturates the air and blows in through open windows (in this way, I suppose it really is still spring here- in real summer we would have to run the A.C. to keep from burning up). The smells of sunscreen, baking flesh and asphalt, chlorine, and burgers on the grill drift into my nose and hit my brain with an intoxicating effect. I think in a previous life I was a bear. There is nothing I wish more than to hibernate all winter. I live to eat and sleep and want little to do with social activity. On a serious note, I’ve got a wicked case of SAD (seasonal affective disorder) and at times I honestly struggle quite a bit. But, summer. Ahh summer. How I come alive and get excited about life in the summer. There is so much to do outside, not to mention I feel super social. Both physically and emotionally I was made to thrive in warm and sunny climes. Because of this, I do much less cooking during the summer. Who wants to be stuck inside in a hot kitchen during the precious days of sun and fun? 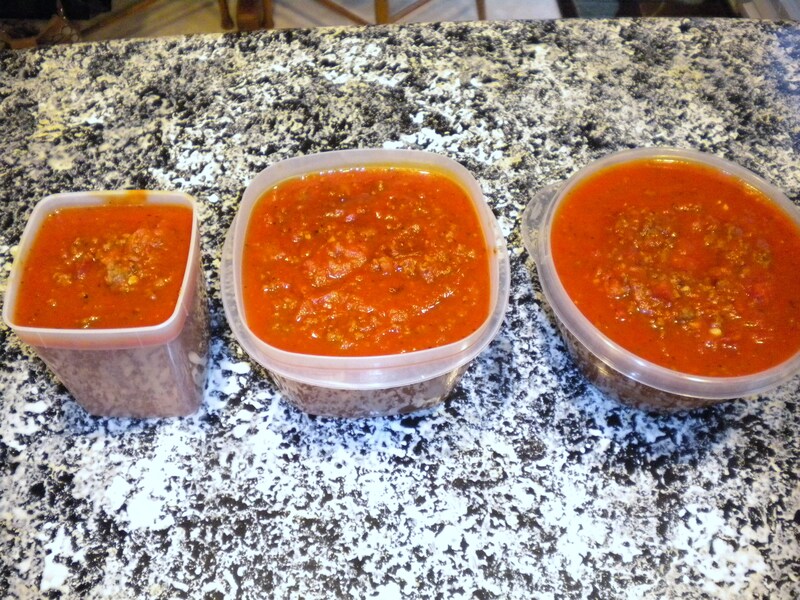 For the sake of time and keeping the kitchen cool, slow cooker meals (and pizza delivery) are really the best. 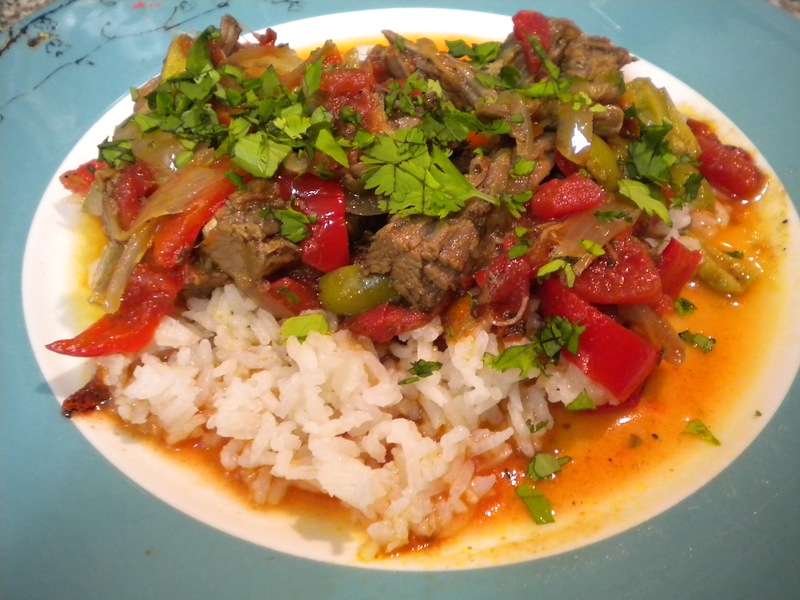 Last week, I made Cuban Style Braised Steak and Peppers (a recipe I found in Woman’s Day magazine) for my friend’s belated birthday meal. 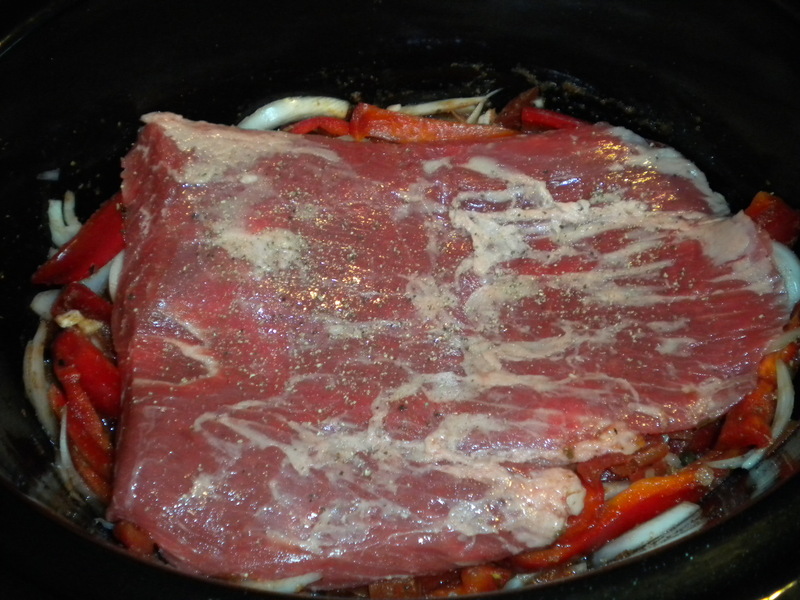 I’ve never done steak in the slow cooker before and was worried it’d get overcooked like the pork tenderloin or beef roast I’ve done previously. 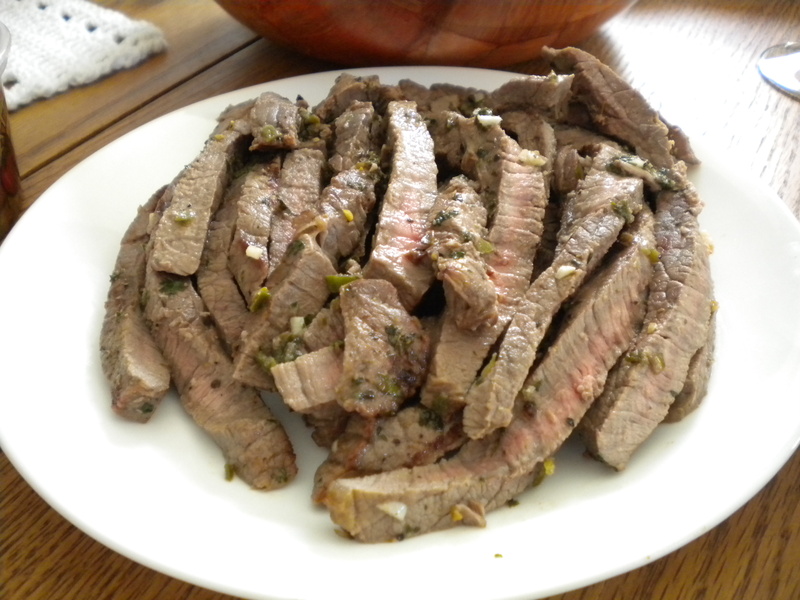 I’ve also never made flank steak in general before, but it appeared fatty enough that it wouldn’t get too dried out too easily. 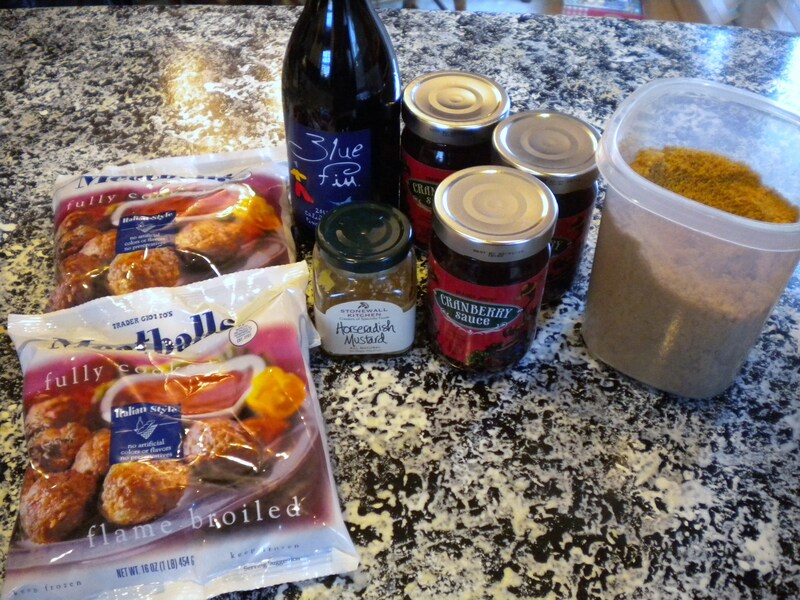 In a 5- to 6-quart slow cooker, whisk together the wine, cumin, oregano, and 1/2 teaspoon each salt and pepper. 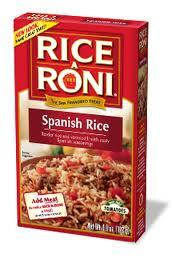 Twenty minutes before the beef is done, cook the rice according to package directions. Using two forks, shred the beef. 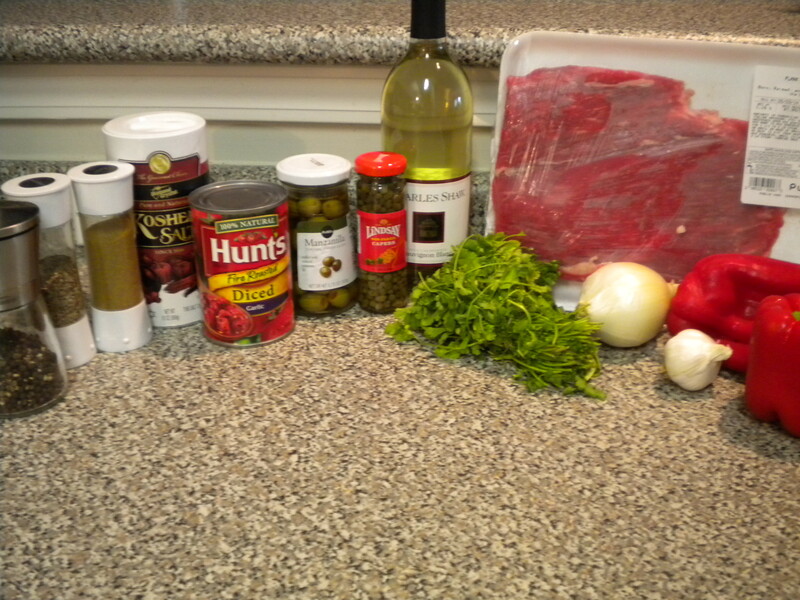 Fold the olives and brine into the beef mixture and serve over the rice. 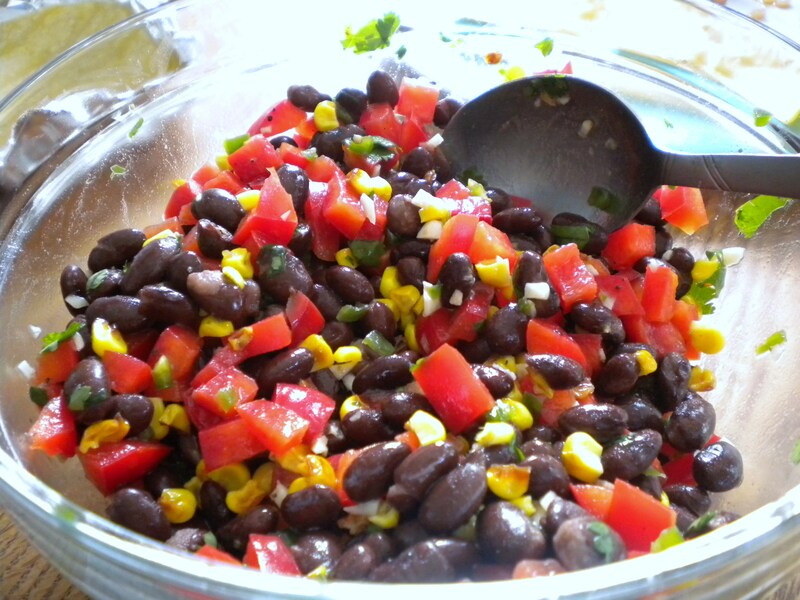 Sprinkle with cilantro, if desired. 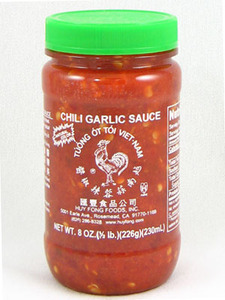 We ate ours with chili garlic sauce, which is quite spicy and added a nice flavor. Dr. Matthews not only had seconds, but thirds, then FOURTHS of this meal! 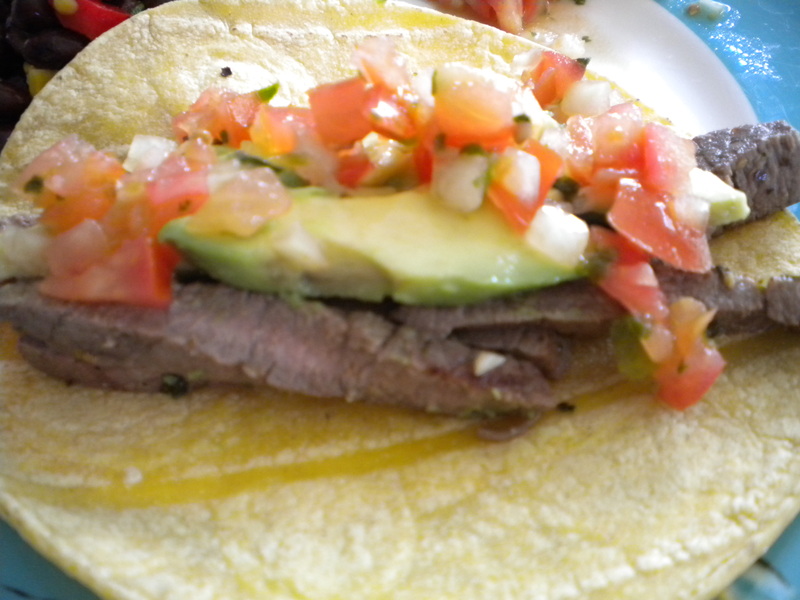 It was pretty dang delicioso. For my friends birthday, I also threw together a cake. I happened to have instant vanilla pudding mix and coconut cake mix, so I threw those together, along with 4 eggs, 1/2 C vegetable oil and a cup of water (following the advice of someone on the internets for how to make a cake super moist – there is nothing worse than a dry cake!). I baked it in two round pans and sliced up some strawberries from our local farmers market to stick in between and on top. 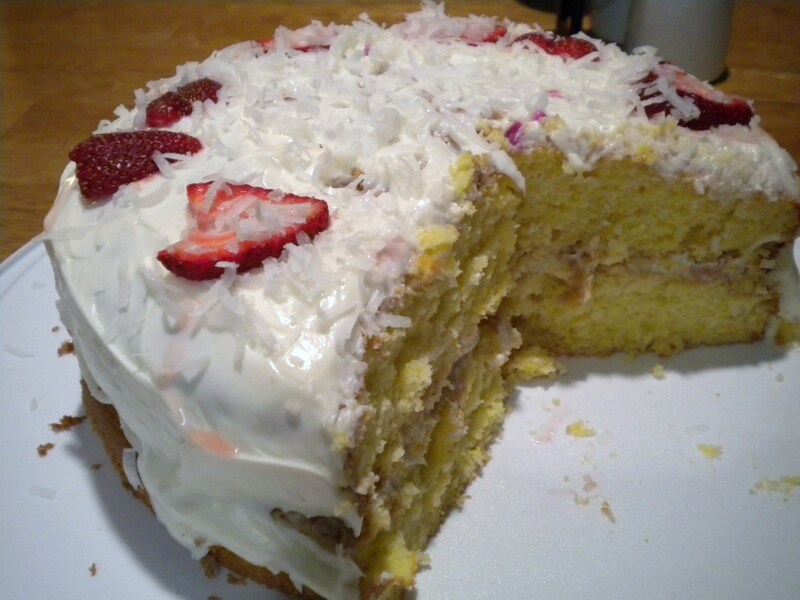 Dr. Matthews picked up some nice canned vanilla frosting, I sprinkled some coconut flakes on top and, voila! It was a terrible-looking thing- flat without enough frosting to cover the sides. But it tasted delicious! This is part of why I’m not a baker. It’s so difficult to make baked goods look nice, presentable, symmetrical, etc. 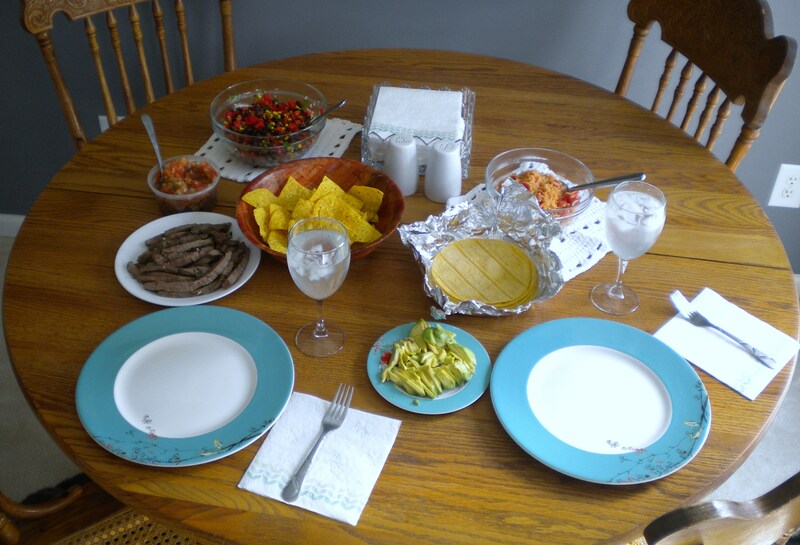 I have no interest in how things look – I just want ’em to taste good! And taste good, it did.